The cool thing about Uber is that it lets virtually anybody become a taxi driver. The downside? Sometimes, without any safeguards in place, those amateur drivers do things that are against the law. Like driving passengers while they’re high as hell. Below we’ve compiled a list of just a few people who think that their Uber drivers were high. Precisely 101 people, to be exact. 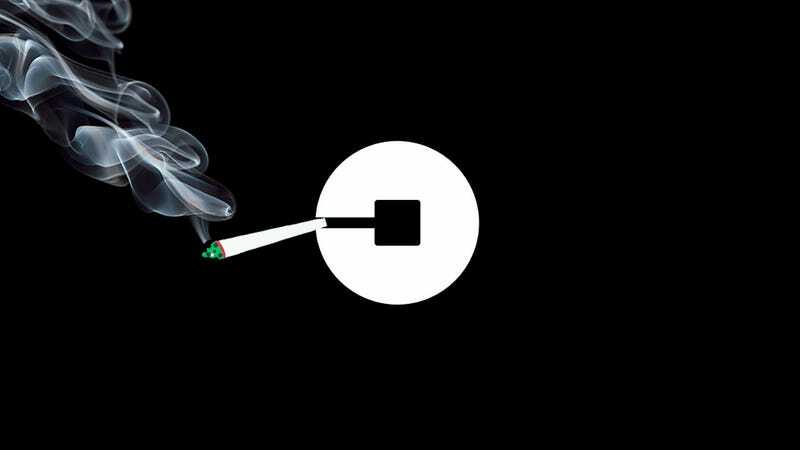 In some cases, their Uber drivers were kind enough to share a joint with them. In others, the passengers had to watch as their Uber drivers got out of the car to do push ups on the side of the road. Some people found it funny that their Uber drivers were stoned off their asses. Other passengers were clearly worried about their personal safety. Not that it matters, but every state that has legalized marijuana for recreational use bans people from driving while high. I reached out to Uber to ask about their policy on drivers operating under the influence. I’ll update this post if I hear back. But I’m not holding my breath. Get it? I said I’m not holding my breath. Because of the weed drugs. Not holding my breath. You get it. I know you get it. I saw your story posted this morning. It’s disappointing to see you used tweets as your source without providing facts or information to back up these claims. We have a zero tolerance policy for alcohol or drug use and wouldn’t hesitate to remove someone’s access to the app if something like this is reported to us. I have included a link to our community guideline here outlining our policy.